These go by many names. Whether you call them agenda books, date planners, planners, pocket calendars or date books... They go where you go and help you keep track of your life. Since they are also spiritual calendars, they help you get inspired about your life in the meantime. Many of these are made to also function as your year diary: keep track not just of your appointments, but also of your thoughts and feelings about your life. What did your kids achieve? How did they respond? Calendars with quotes from the Bible- from the Psalms for instance - illustrated with nature pictures or spiritual artwork. 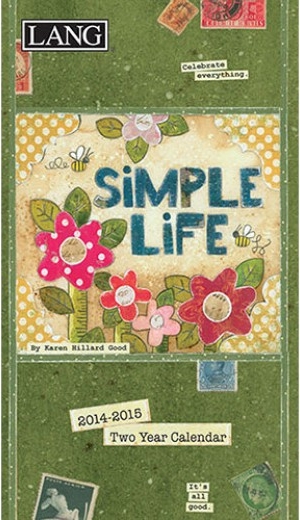 Karen H. Good's Simple Life Planner is filled with Flowers, butterflies, and bees accompanied by heartwarming phrases to brighten your day. Slightly larger than the standard pocket format, the Simple Life Monthly Planner is the perfect month-at-a-glance two year planner - a quick reference planner that you can take anywhere. 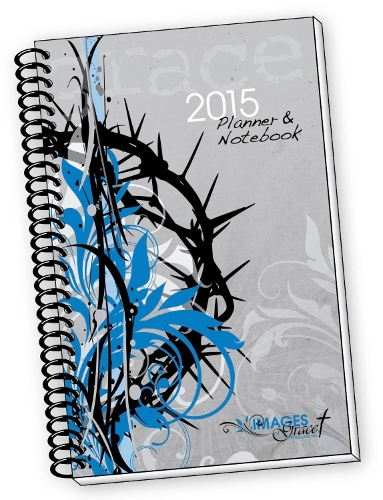 This 12 month academic planner is Christian based. 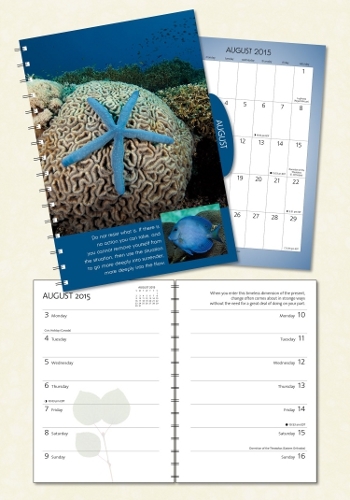 The Planner features monthly calendars, weekly planner pages plus convenient notes pages for notes. There's plenty of writing space and each week National and Christian holidays and events are highlighted. Quotes from the Scriptures are featured on the weekly pages and inspirational quotes from famous theologians are found each month. Also included is a "read through the Bible in a year" plan. Thank you for the non-separatist way in which you have recommended these very inspirational products for enhancing daily life. 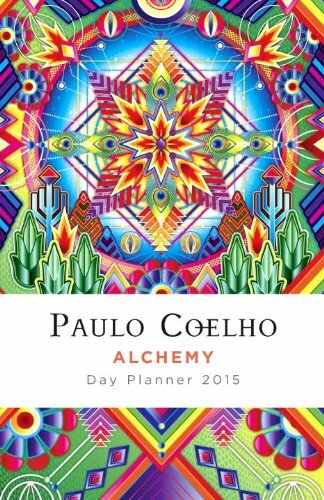 The Coelho English Edition Daily Planners are here! Paulo Coelho is not only one of the most widely read, but also one of the most influential authors writing today. With his Sabiduria (Wisdom) as a backdrop, you will receive daily inspiration from one of the masters of modern literature. The Power of Now Planner pairs wisdom quotes by Eckhart Tolle with spectacular full-color nature photography by David and Marc Muench. This will help you connect to this essential wisdom and to stay focused in the present moment all year long. This is a hardcover planner with wired binding. There's 52 weekly pages with month- and year-at-a-glance. Features include extra lined note pages and a pocket. Elastic band enclosure. Astrology can be a very useful tool to guide us through troubled times, or help us deal with good times even. So what's more appropriate than astrological calendars? 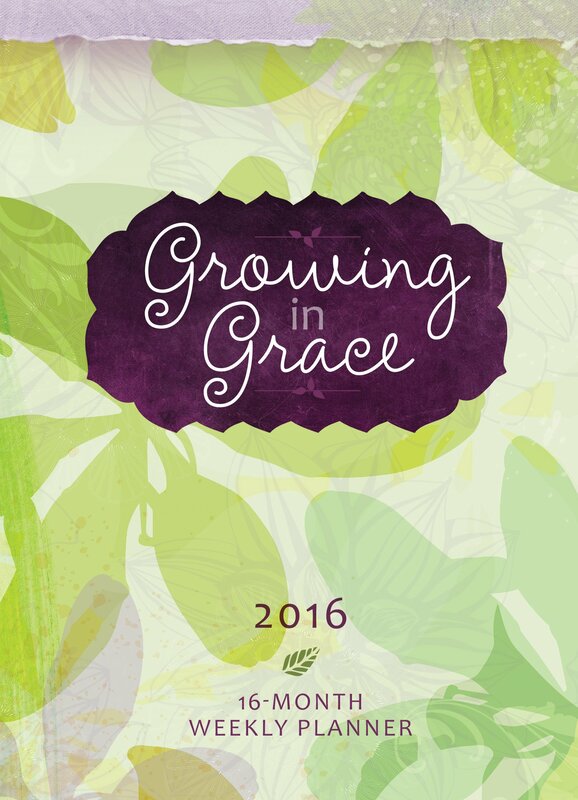 Find a pocket calendar that fits your religious inspiration and background. All these date books include spiritual quotes, that's why we call them religious planners. I've included agenda books with uplifting quotes from various spiritual lineages like Christian, Yoga, Muslim, Buddhist and Celtic planners and more. 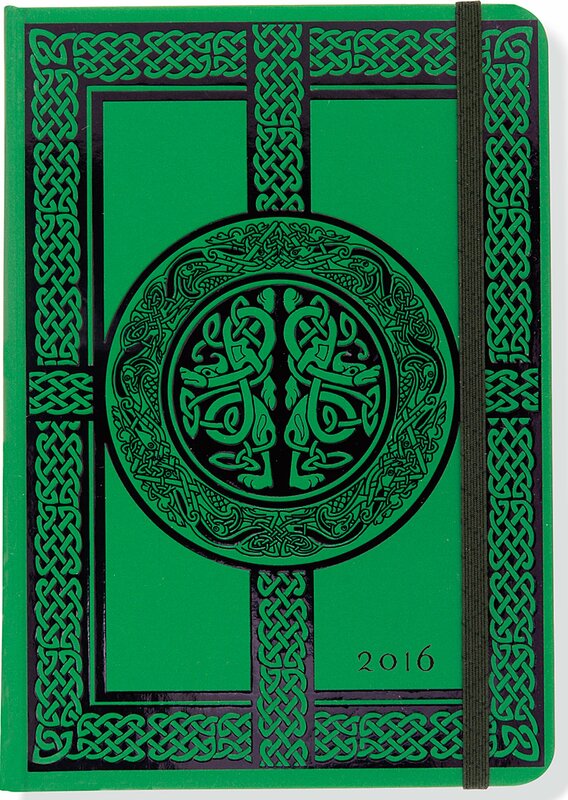 Many of these planners are made to also help you journal. Keeping a diary can be a spiritual experience in itself because it helps you keep in touch with the real you. Putting your thoughts and emotions into words can be a very helpful tool in self development and spiritual growth. 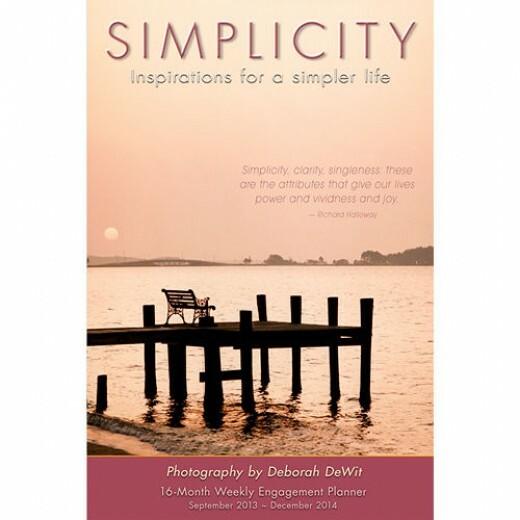 The Simplicity Engagement Calendar celebrates the expressive photographic imagery of Deborah DeWit. Special moments are captured that move the viewer to pause, reflect, and rejoice in the beauty that surrounds and enriches us all - if only we would stop and notice it. Thought provoking quotations are matched with 70 inspiring photographs to make this the perfect 16 month engagement planner not only to keep track of life but to also reflect upon it. Very well organized and inspiring weekly planner. Popular ''Celtic'' design features the intricate patterns and serpentine animal forms of the ancient Celts, embossed with black lacquer effects. Weekly planner format helps you stay organized, and includes space for notes and addresses. Binding lies flat for ease of use. Elastic band place holder keeps you current. Calendar measures 5'' x 7'' and fits easily in most bags. Astrological Planner ï¿½ aspects, moon etc.